The 'Autofleece' brand by Mi Woollies is synonymous with the finest sheepskin automotive products. 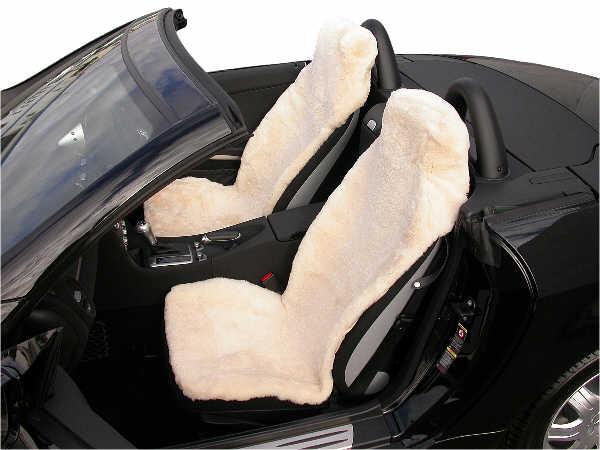 Whether you are purchasing a pair of car seat covers or a sheepskin steering wheel cover, be assured that only premium quality sheepskins make the Mi Woollies grade. We expertly match each sheepskin pelt to ensure consistency and density of sheepskin used. Our number one quality requirment is to use only high density sheepskin. This ensures a much more comfortable and hard wearing product compared to other products that are available where the wool is very sparse and soon becomes bare. Enjoy quality Mi Woollies sheepskin in your vehicle.